I was already bragging on Instagram that my sister has a great taste for makeup. I recently received another YSL lipstick only because she knows you can't go any better than YSL. 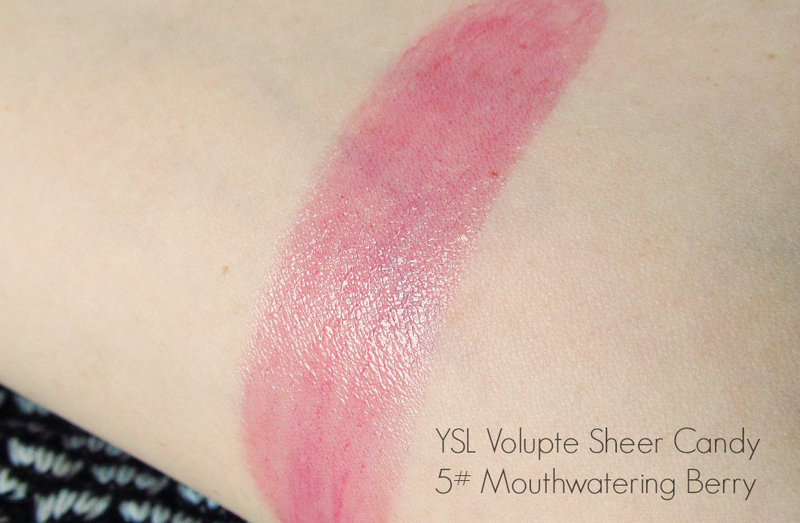 This time she got me Volupte Sheer Candy Glossy Balm which has a balmy texture, wet-looking shine and tints the lips. Smell is slightly different from original Rouge Volupte - still melon but with a peach twist. Now the main star is not the scent but texture and finish on the lips. Oh, and packaging, which is absolutely stunning and glorious in all it's silver plated tube. Sheer Candy Glossy Balm won't deliver high pigmentation nor creamy texture but they will sure give you shine and comfort. 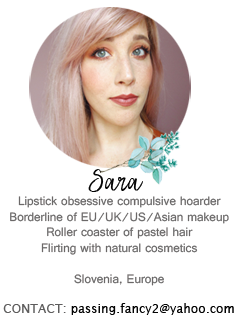 You should definitely reconsider your attachment to your tinted lipbalms before heading out and buying Sheer Candy lipsticks. 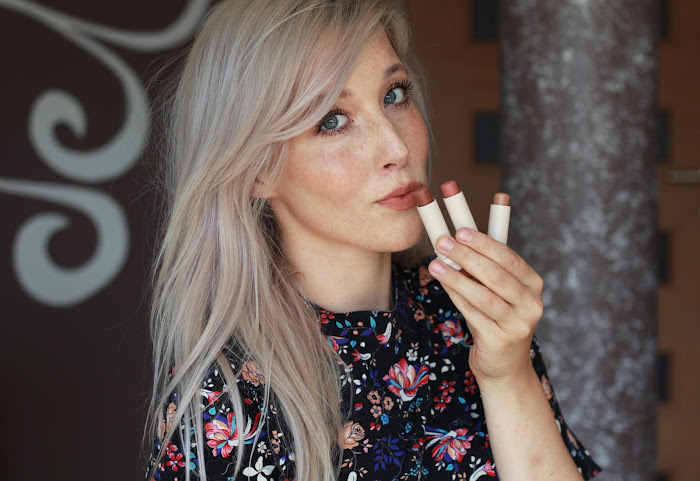 It's almost translucent but leaves your lips nicely moisturised with a tint. The darker the color, more pigmented it will be. Glossy finish starts disappearing after first 3 hours which is expected longevity time for balmy lip products. Sheer Candy won't coat your lips with intense color but they will just enhance your natural lip color with different undertones. Now it's up to you to decide if it's worth to splurge on a tinted, glossy lipbalm with a luxurious packaging. Truly honest, I would never buy myself such an expensive lip product, especially not a tinted lipbalm, but getting or giving it as a present has quite an impact. In the past I already bought Sheer Candy for friend's birthday and I was thrilled to see her reaction. No girl will stay calm after seeing this beauty. Sheer Candy in #5 Mouthwatering Berry seems quite a bold, dark red/purple in the tube but applied comes out as a lovely pink-berry stain. I was actually surprised to see a better, almost photoshopped version of my lips. Mouthwatering Berry made my pretty pale lips more darker, berry color but you could still see through a bit of natural color (and some freckles in my case). What can I say, I'm in love. In terms of comparing it to other similar products I could say Fresh Rose lipbalm is a pretty good dupe but with more thick and nourishing texture. Maybelline Babylips in Cherry is pretty darn close too in terms of color. As for the lightweight texture, it's similar to Maybelline Whispers but more jelly-like. On the end it's your personal taste that makes a choice. I know I would never buy it for myself but I'm truly happy to get higher end brands as a gift. Although this tube of tinted lipbalm quickly became my favourite and I could consider it repurchasing, it depends on how long it will last me. I noticed it gets used up pretty quickly due to glossy, lipbalm texture. So this is pretty much the only downside I found. This is such a beautiful and natural color! Perfect for Fall indeed ! YSL lipsticks are my favourites. That colour looks beautiful!